Happy Thanksgiving! Here are the Houston events for Thanksgiving Thursday through Thursday, December 5. Scan the list and either look for an event that looks fun, a time that works with your schedule, or a location that works for you. 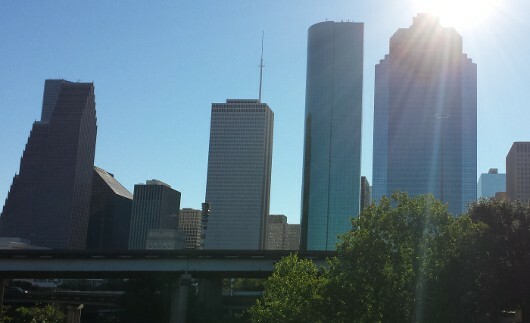 Just don’t get overwhelmed by all the things there are to do in Houston! We are really excited for the Ice at Discovery Green. Monday means Cheap Skate Monday, where $5 covers skates and admission. And, mom doesn’t have to skate if she doesn’t want to. I usually use the baby as an excuse to stay on dry ground while the bigger kids use the toddler practice area or brave the big rink on their doubled bladed skates. Zoo Lights has started and has become a family tradition. We plan to see the zoo at night this week. If you have a little one and want to meet other Houston parents, check out Mommy Mingle at the Children’s Museum. The babies play in the Tot Spot while the parents mingle. On Thanksgiving Day, catch the parade in the morning, ice skating in the afternoon and the zoo in the evening! For a list of Chanukah Events around Houston, go HERE. For a list of Christmas events around Houston, go HERE. And, to get everything to your inbox each week, go HERE! Chuy's – BigKidSmallCity’s Search for Houston’s Best Kid Friendly Restaurants!